In Florida it's basically inevitable to not be pregnant in the summer time. I mean really it's hot a good chunk of the year and at some point no matter what time of year you get pregnant in it will be hot! Luckily, I'm not as large as a house almost due, so there's a plus to that. I can still bend over(ish), pick my almost two year old up, and not get extremely tired after an hour of being awake. One thing I have learned is that no matter how many weeks you are, you will get swollen if you don't have enough fluids. I hate the feeling of my feet and calves being swollen. So water it is, but water can get old after a while even if you spritz some lime. I'm here to tell you that there are some yummy drinks that your alcohol drinking, non-pregnant friends are eyeing up while your sipping away. Lemonade. I'm not just talking plain ol' lemonade--flavored lemonade with fresh fruit and sprigs of mint and sparkling water. Seriously, you will forget that you aren't over at the bar, and plus you will save money drinking these mommy mocktails! 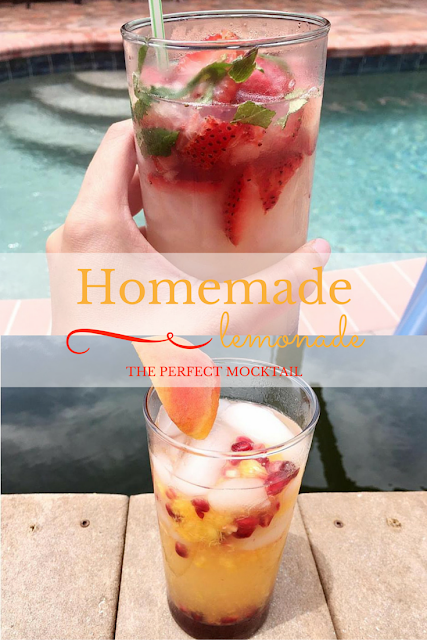 I prefer to make my own lemonade but if you want to purchase store bought then go ahead! Below is how I've always put my lemonade together. 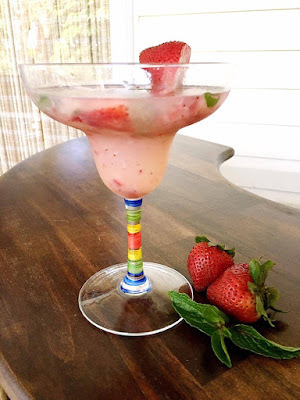 One note about the sugar--I like to make it into a simple syrup before hand so that it dissolves right away in your lemonade instead of granules sitting in the bottom of your pitcher. That's easy to make--just mix equal parts liquid and sugar. So if you are using 1 cup of sugar use 1 cup of water (I like to just go ahead and use some of the lemonade I made.) If you use this combo it will result in about 1 1/2 cups which would be perfect! 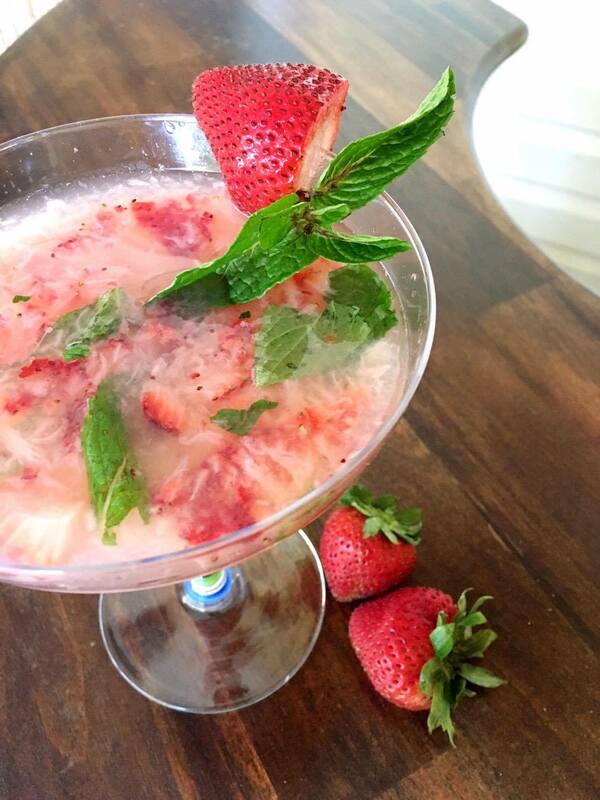 Muddle your fruit and mint with a couple splashes of lemonade. You can choose to strain the mixture once you are done or keep it with all the delicious strawberry bits, totally your call! Pour into a cup of ice and pour some more lemonade over it. 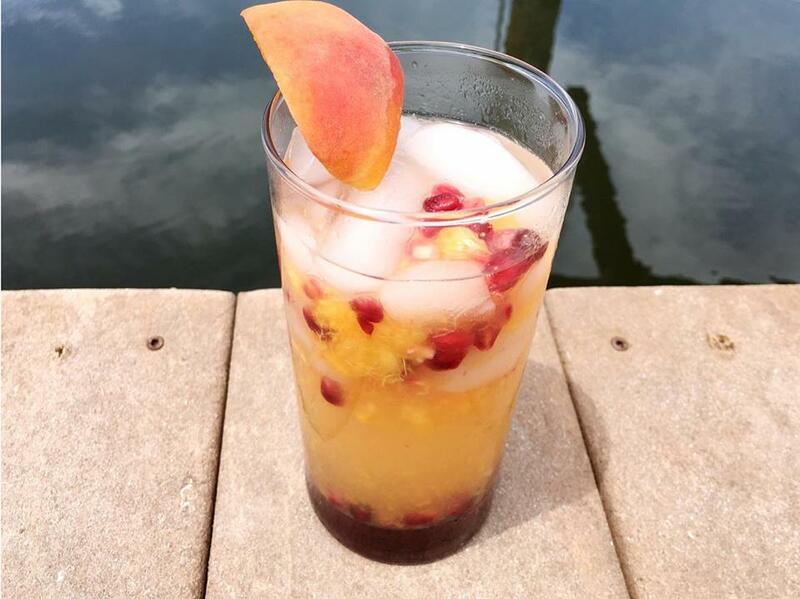 Muddle the peaches and pomegranate with a few splashes of lemonade. I pour directly over ice and top with more lemonade, but you can always strain the juice. What are some of your favorite non alcoholic drinks for the summer? Check out one of my friends Christina Campbell from the mommyspot talking about her favorite mommy mocktails. 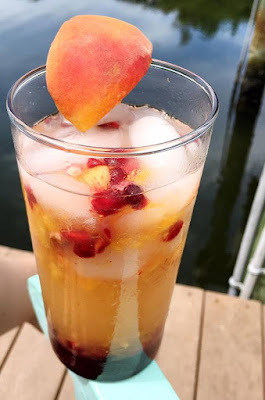 Yum, this looks delicious and so refreshing! Thanks for sharing!